Three recently observed trends caused me to go back and reevaluate my online and offline marketing strategies. Fortunately the issues refocused for me easily and quickly tonight while I took an evening walk just before dark. This blog post is an effort to get it all recorded before I lose the thoughts. Fewer web site visitors are coming to me from Google searches. I notice that Google now sends more inquiries about specific financial and tax planning topics to paid advertisements and less traffic to unpaid sources of technical information. Facebook threatened to charge for hosting Live videos tonight. Perhaps I should not be surprised but after years of testing, I have no indication that Facebook paid promotions have ever been cost-effective for me. A decline in the quality of incoming calls to my (800) business telephone number. The large majority of inbound telephone calls lately are ‘junk’ or wasted. Perhaps 7 out of 10 go to voicemail during times when I am personally unable to take the call and the caller does not leave a message. I presume that many are solicitations. I send a follow-up text message “Sorry I missed your call…” with a suggestion of schedule a conversation but have not ever received any response from that effort. Of the calls that I do receive or return based on voice message, about half are competitors looking for free advice. Some are not honest about this and disguise themselves as small business owner prospects. Overall, the ratio of real prospect to overall calls has dropped to less than 1 in 200. I stopped using a professional receptionist service because they were frustrated by so many junk calls and it cost me a small fortune. Availability and personal involvement. That I actually directly pick up the phone up to a dozen times per day or promptly return all calls and emails (even the misdirected ones). Experience/credentials. The simple fact that there are relatively few small business advisers with 30 years experience and so many professional credentials. Few advisers have a Wall Street firm background or experience as a Registered Investment Adviser that can be invaluable in this new era of small business crowdfunding. 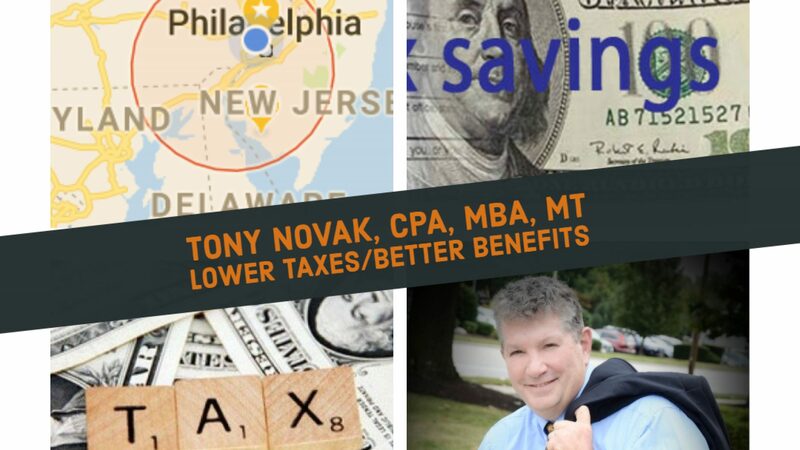 My focus and expertise in small business financing and tax planning is rare. Licensing, While CPAs can generally work in any state , I also have the rare qualification of being licensed by every state’s insurance department so that I can directly handle issues related to specific employee benefit plan products. I also have extensive experience/credentials in investment portfolio management and small business accounting systems. My core marketing message and branding is pay less taxes. I think that few accountants and financial planners focus on this simple pure mission of reducing taxes for clients as a means to increasing long term wealth and financial security. I emphasize that omission of tax planning leaves easy money on the table. My secondary message is to incorporate health planning into the core of your strategic financial planning. We all know that money is useless without health but yet again, few advisers are so experienced in this area. Use video to show that I’m credible and likeable. Use video because it may rank higher in searches. Keep videos short. The goal is one minute. Host my own consent. Do not rely on Facebook, Linkedin or others as primary hosts. Don’t give up on Google search. People will continue to look for the important information. Whether outbound solicitations through a combination of imdivisural emails, postal mail and phone call to prospects might have any better result in generating new business than ghe pull type media promotions that I have used so far. In other words, Should I incorporate use a push type sales strategy? Whether I can or should consider any other strategies like public speaking. Whether hiring professional assistance for lead generation will pay off. The scary part: there are a few things that when I consider as stark naked truths, are quite disturbing. I have still not received a prospective client referral in my first 18 months in business from any peer, friend, family member or networking partner. My investment of time spearheaded by ongoing lessons from “Book Yourself Solid” have not yet shown results. the huge amount of personal interaction from business groups, networking group, chamber of commerce. etc. gas not yet produced any result. I still have no evidence that any paid promotion works with my timeline and budget. I’ve tested Facebook advertising, lead generation and general marketing service. The only proven marketing tool is online publishing that leads to an incoming inquiry os dropping in effectiveness. Most recently, on a revelation that hit me as a slap in the face, a CPA peer with a not-so-stellar professional background mentioned that his disability income check from his former salaried position is more than my gross earned income from self-employment. It really made me question my decision to attempt to build my own practice. I plan to incorporate the points of this refocused information into business planning discussions over the next few weeks.